I’ve always been a fan of portable consoles and for a long time, the PS Vita was my favourite. As I transitioned into work life, the PS Vita was what helped me keep my gaming time in tact and introduced me to some of my all-time favourite immersive JRPG series during small moments of free time in my day and for that, it holds a special place in my portable console collection. Unfortunately, the world of PS Vita has grown quiet as of late, particularly in the west with Sony’s announcement a few months ago of the end of physical Vita cartridge production, along with the innovative Nintendo Switch providing current-gen console game quality on the go and eliminating the need for Cross-Buy as a portable and home console hybrid. But that doesn’t mean the PS Vita isn’t still a useful console with its library of amazing JRPGs new and old and its ability to play PS One Classics and PSP games meaning there is still a big library of great games for portable gamers looking to experience classic games and Vita exclusives. So as a look back at the portable console that got me more into the JRPG genre, here are my five favourite PS Vita JRPGs. It’s impossible for me to mention the PS Vita without mentioning Persona 4 Golden because it was the reason I wanted a Vita in the first place. As a Final Fantasy and Kingdom Hearts fan that at the time hadn’t really gone further into the JRPG genre, for some reason Persona 4 Golden’s trailer, cover art and premise really drew me in, so when I was given a Vita and a copy of Golden for my birthday one year, it threw me into the JRPG genre and I haven’t looked back since. Persona 4 Golden was unlike any other portable game I’d played at that point - it started with two hours of a slowly unfolding mystery that hooked me in as it revealed its premise of the Midnight Channel that only airs at midnight on a rainy night, somehow resulting in going inside TVs to dungeon crawl and investigate deaths in the town made this story both more complex and outlandish than any of the handhelds I’d played before. 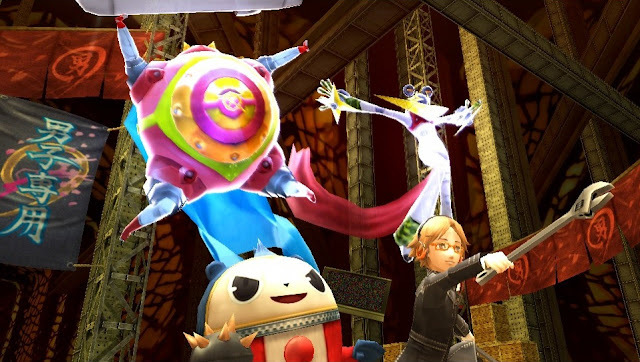 On top of that, it had really relatable and well-written characters that made the game easy to connect to as I made my way through its big dungeons and also introduced me to the day-by-day gameflow seen in modern Persona games. Making the quick choice of if the protagonist would spend time with friends or go eat a big beef bowl fit well in handheld form and definitely left an impression on me - I did all of its social links and got its true ending and platinum trophy though around eight months where I only played it because there was so much to do in this game and it showed me not only how great and activity-filled JRPGs could be, but that these big experiences were ones I could do on the go. Persona 4 Golden’s world of things to do and its intriguing mystery made me really fall in love my Vita by showing me how immersive handhelds could be and it’s my top pick for anyone who has a Vita and hasn’t played this fantastic game. Further down the line in my PS Vita journey, a PS Vita exclusive that caught my eye thanks to its unique looking story and action gameplay was Freedom Wars. With a post-apocalyptic world and aesthetic, Freedom Wars told an interesting story of a world where pretty much everyone is imprisoned for being a waste of resources and with the minimum sentence being 1 million years, your life in the panopticon allows you to try and chip away at this sentence while finding out more about its complicated world. Along with its great story, Freedom Wars had some of the best action gameplay I’d experienced on handhelds at the time, with its smooth darting with the grappling thorn around the massive fields and onto its monsters to hack away at them being so much fun and it was one of the few PS Vita games I played online with because there was something so addictive about it. 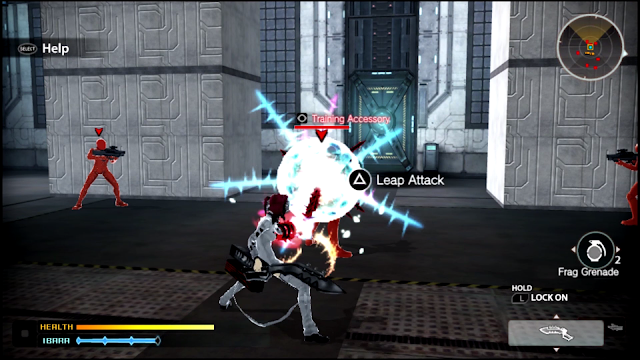 While these days I can get my kick for that kind of thing with the Freedom Wars-inspired gameplay in Sword Art Online: Fatal Bullet, I still sometimes think about the fun times I had with the character I made in Freedom Wars and recommend it to those looking for a unique action experience on the go. My first ever story-driven JRPG was Final Fantasy X back on PS2 and it’s one of my favourites of all time, so when its HD version got announced for PS3 and PS Vita (and eventually PS4), I had to pick it up. I actually picked it up for PS3 at first, but I knew I wanted to have it on PS Vita to try help me platinum it sooner, so to make things even more productive I picked it up in Japanese to help my studies and it was the first JRPG I finished in Japanese. I was very impressed at how high quality this HD edition looked on my Vita too; between the PS3 version and the PS Vita one, I really didn’t see much difference visually, so having another rich big world on PS Vita was something I was happy to have, especially one that is as special to me as this one. The story of Tidus, Yuna and the world of Spira still hasn’t gotten old to me yet and having its in-depth sphere grid character development to grind at on the go is something I’ll appreciate if I ever get back to my platinum journey with it. Platinum or not, I’m mostly just happy to have one of my first favourite JRPGs on my first favourite portable. Before its recent Steam release, Sorcery Saga: Curse of the Great Curry God was a fun, silly JRPG Vita exclusive that put me through my paces when it came to dungeon crawling. 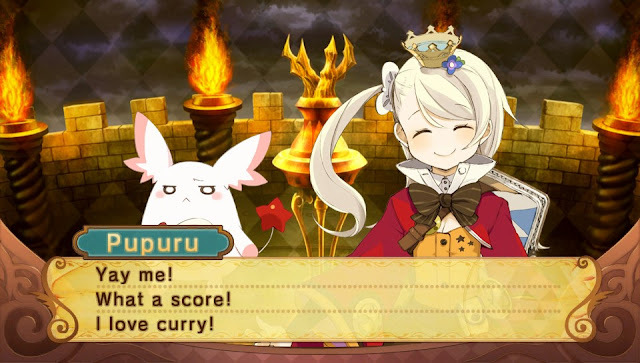 As a roguelike dungeon crawler, Curse of the Great Curry God follows magic student Pupuru as she works towards saving her favourite curry store from going out of business by searching for ingredients to make the Legendary Magic Curry alongside her funny friends and an animal companion that eats everything. I often used my Vita and portables in general to try new kinds of games and Sorcery Saga was my first roguelike dungeon crawler and it showed me just how challenging they can be while breaking things up with its light-hearted dialogue that made me laugh out loud more than a few times. Its quirky story and tough gameplay make it one of my favourite experiences I had playing my Vita and although this video is celebrating my favourite Vita games, I hope to try its upgraded version on PC sometime as well. Although it’s also on PS4, World of Final Fantasy was one of the last full JRPGs I played on my Vita and is also one of my favourites. Minus a few slow load screens, the game ran really well on PS Vita and was another JRPG I was able to play faster thanks to it being portable while still feeling like I was playing something close to home console quality. 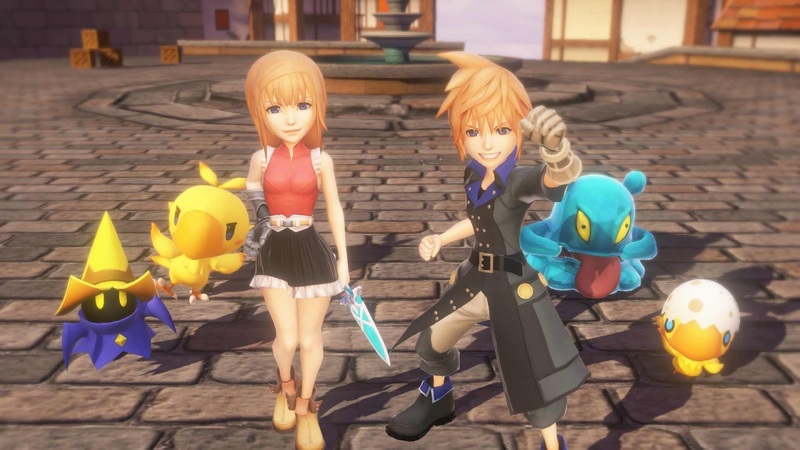 With the chibi art style versions of many beloved Final Fantasy characters, World of Final Fantasy tells the story of Reynn and Lann exploring the world of Grymoire to regain their memories and the new takes on Final Fantasy’s many areas mixed with charming characters new and old and monster collection made World of Final Fantasy a delightful experience to be able to play anywhere. I also love the fact that World of Final Fantasy came to Vita since there are plenty of Final Fantasy games playable on it, whether in HD or as PS One Classics, so World of Final Fantasy is not only a great celebration of Final Fantasy’s games in its own stylised form, it’s a great celebration of some of the classic games playable on Vita in its own fun form and one I’d like to come back to someday. What are your Top 5 PS Vita JRPGs? Do you still play your Vita?